Bathroom Inspiration - these pictures will have you running to your contractor! These gorgeous bathrooms will inspire you to run to your contractor for an update. Planning a renovation? Get some bathroom inspiration here. 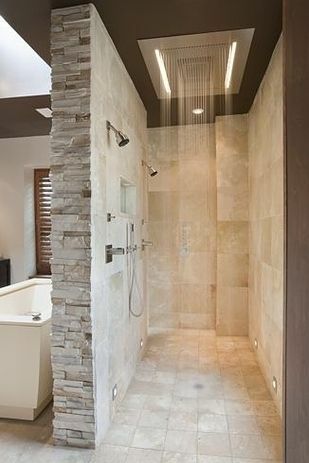 Get a walk in shower - no glass to clean! 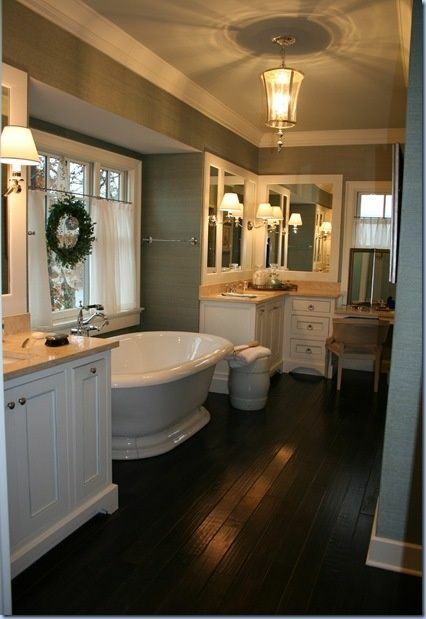 Country-chic bathroom with dark hardwood floors and off-white furnishings. 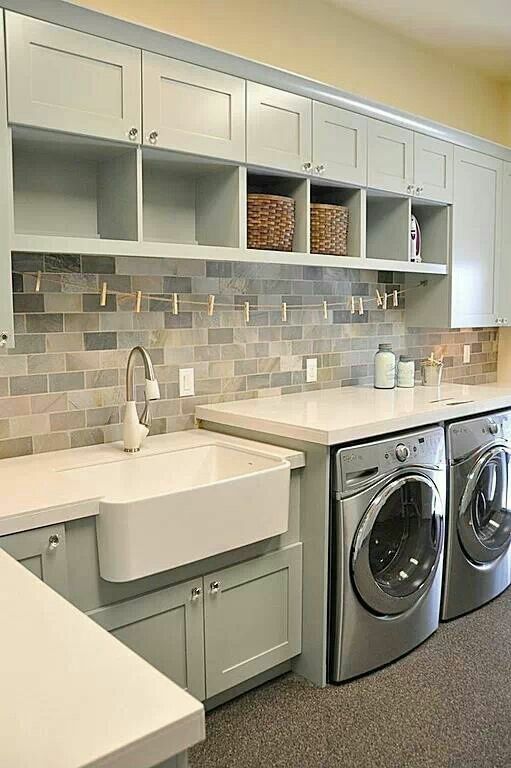 Don't have a dedicated laundry room? This is a beautiful multi-use space inspiration for a laundry/bathroom. 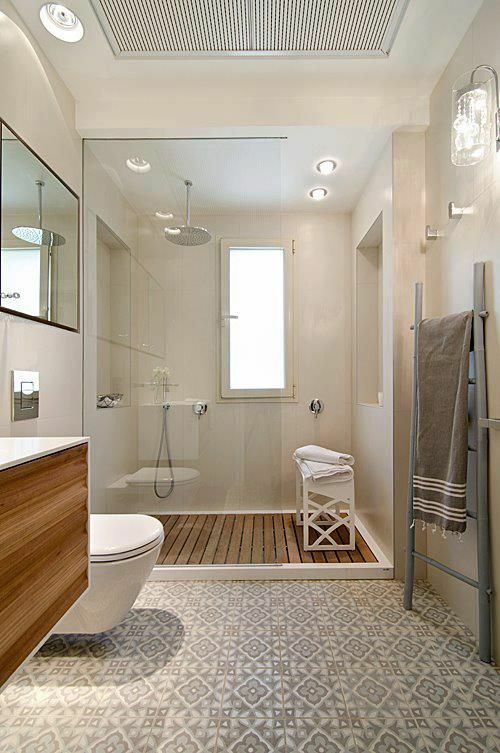 This wood plank shower floor is perfect for a spa-like atmosphere. 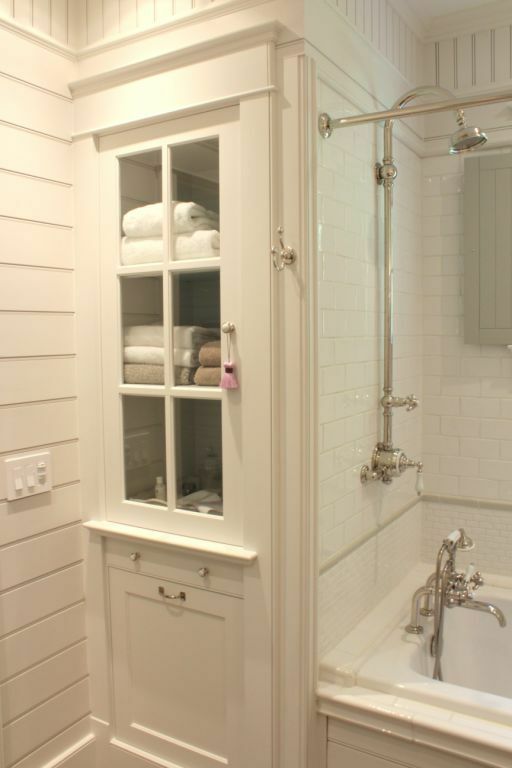 The subway tiles, hardware, and cabinetry make this bathroom the perfect mix of antique and industrial.